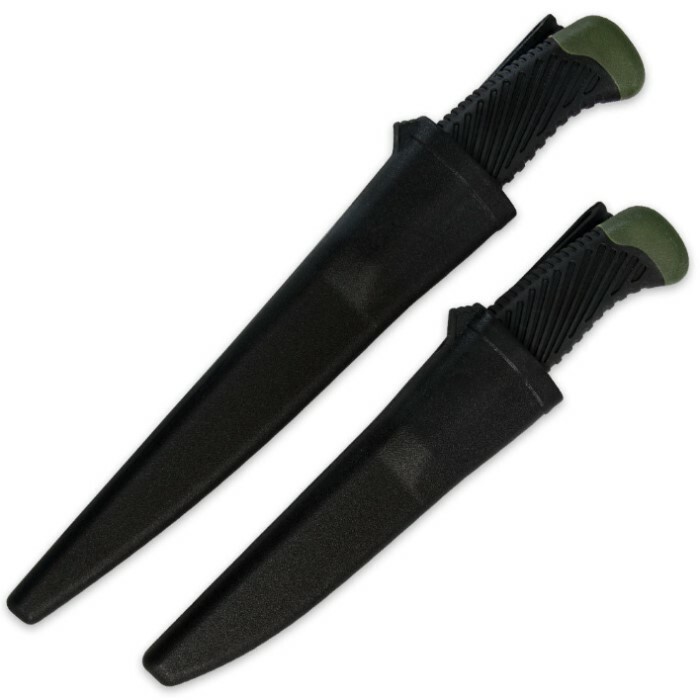 Black Legion Delta Defender Two Piece Knife Set | BUDK.com - Knives & Swords At The Lowest Prices! 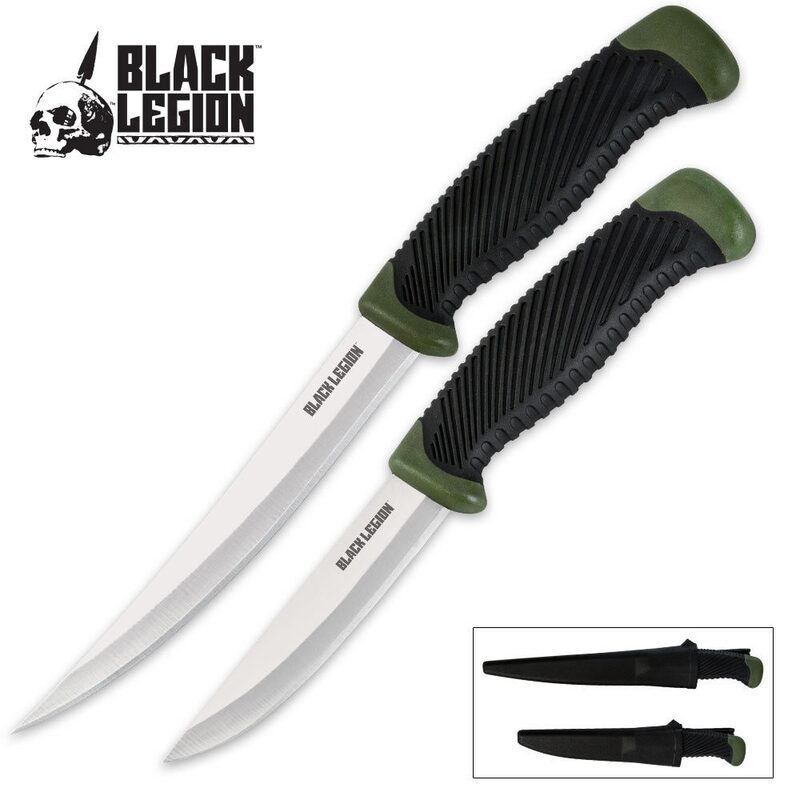 Our Black Legion Delta Defender two-piece knife set is the perfect addition to your tackle box, tool box or even your bug-out bag. The thick, razor-sharp blades can be used for tasks such as cleaning wild game, building shelters, splitting firewood and even everyday tasks. 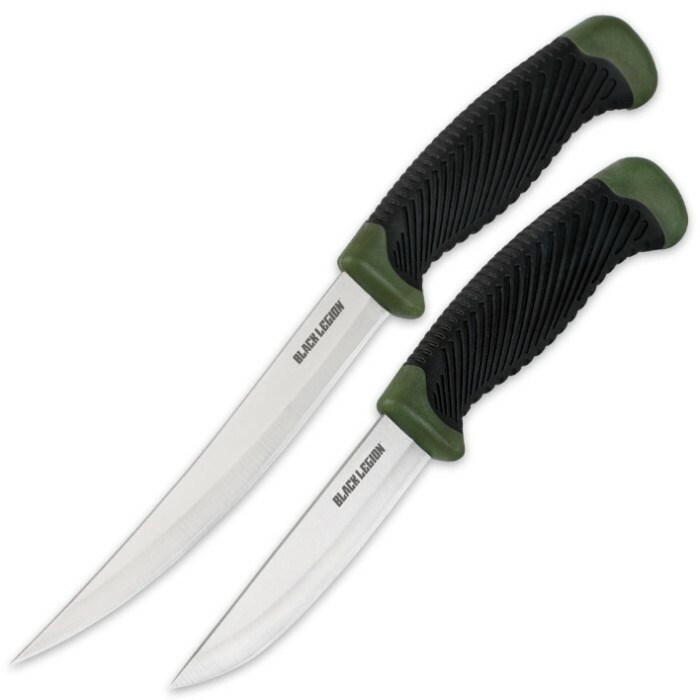 An overlaid rubber handle with checkered pattern allows for a firm grip, even in wet situations. Each one includes an individual ABS sheath with belt clip to carry your knives when not in use. Don't miss out on your chance to get this set of two great knives at one low price!